All The World's A Fomite: Where's the pizza? 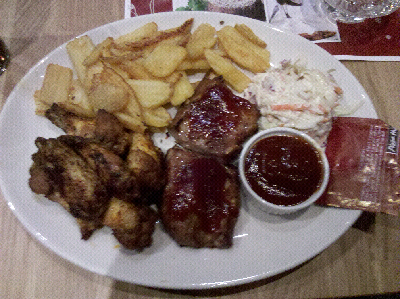 Ordered a ribs & wings platter at Pizza Hut. I dislike it when cole slaw is the default side dish, but I actually liked their version. To quote Vector (Despicable Me), "Oh, poop!"